This is an old favorite of many regions of the country. 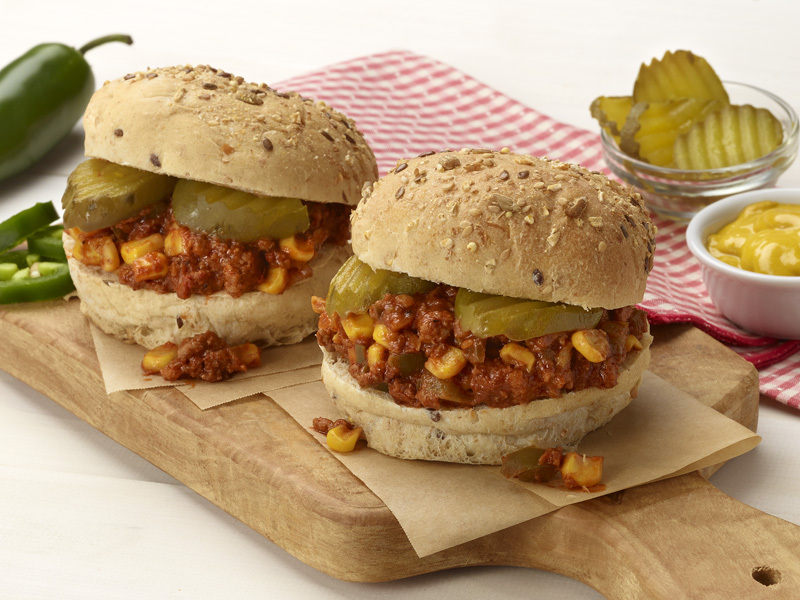 We have made Rick’s family sloppy joe recipe in to a much healthier and tasty recipe. Heat oil in non-stick skillet over medium-high heat. Add onion, bell pepper, jalapenos and garlic. Sauté 3-5 minutes. Add beef to skillet and cook until browned. Stir in tomato paste and catsup. Add chili powder, cumin, sea salt, pepper and broth. Reduce heat and simmer for 10 minutes, stirring occasionally while thickening. Add sweet corn and cook for 3 more minutes. Spoon about 1 cup of mixture over bottom half of bun. Add sliced dill pickles. Add mustard for additional flavor. You can pre toast the buns before serving. Serve hot.